Breast cancer is the second most common kind of cancer in women. About 1 in 8 women born today in the United States will get breast cancer at some point. The good news is that many women can survive breast cancer if it’s found and treated early. A mammogram – the screening test for breast cancer – can help find breast cancer early when it’s easier to treat. National Breast Cancer Awareness Month is a chance to raise awareness about the importance of early detection of breast cancer. Most Imperial Beach families have been, or will be, affected by this deadly disease. Do your part and show a loved one you care. 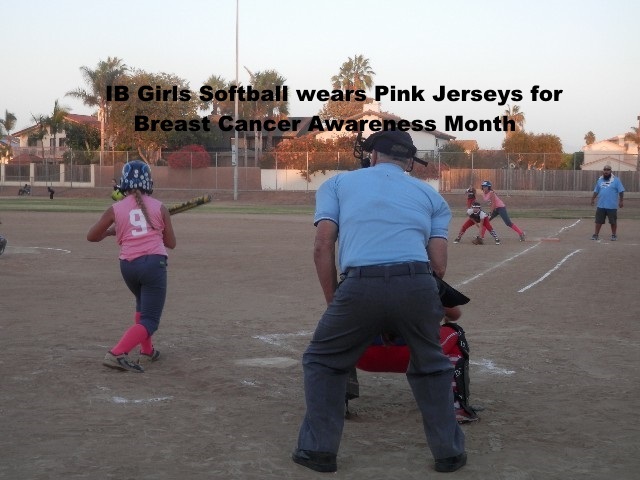 I know last year, the Imperial Beach Girls Softball Team wore Pink Jerseys all month to show their awareness and participate. I am sure they will this year as well!